This page contains descriptions of public workshops past, present and future. If it’s on this page, we’ll offer it again! Some of these are also available as private workshops. Workshops on this page are NOT all currently scheduled. Click here for upcoming scheduled workshops. Weaving is an incredibly versatile craft, but our focus is on creative wall hangings. This workshop is meant for absolute beginners to see what weaving is all about. Participants will learn the fundamental techniques, including plain weave and some fun textured stitches! You can keep your weaving simple, or explore the techniques with expert support. Pieces from this class will be 7 inches wide, variable height. This is the class to really learn the ins and outs of weaving, and make a big statement piece! You will learn how to warp a frame loom, finish a weaving for display, build angles, curves and shapes in your design, implement techniques for all kinds of texture, and more. We’ll discuss the wild variety of available fibres, and the many tools and accessories available. 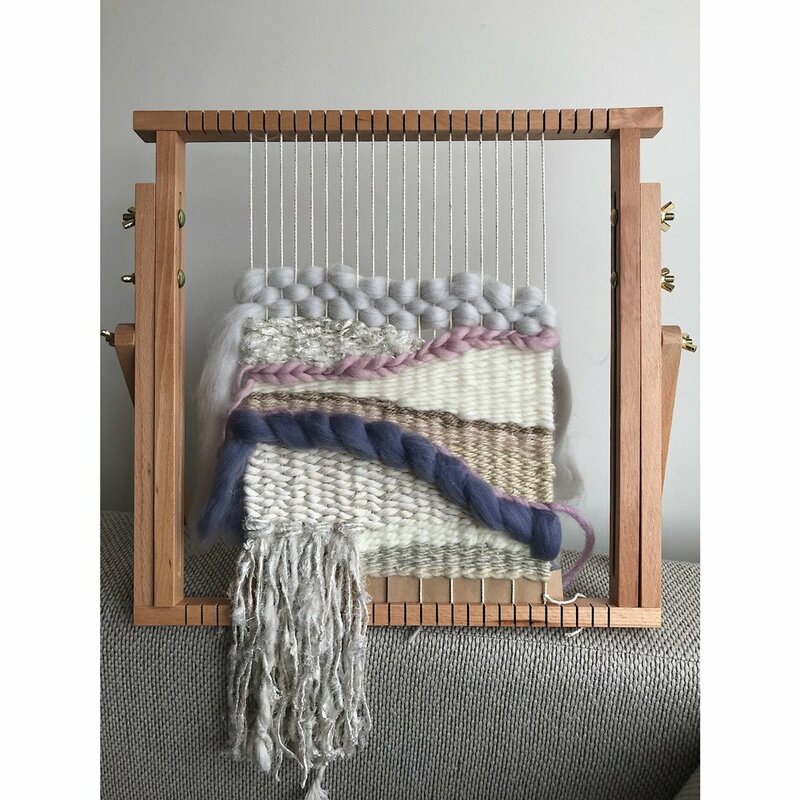 Make a unique piece for your home in this workshop that teaches the basics of weaving and explores texture, fibre and design. Sign up to be notified when a new weaving workshop is posted! AKA stamp carving! Block printing is an ancient craft, found across cultures. Most at-home block printers today use rubber carving blocks and a variety of tools to create a design which can then be printed again and again onto fabric or paper. We offer workshops in block carving and printing; participants take home the blocks (stamps) they have carved as well as the napkins, tote bag, cards or tea towels that they printed on. Sign up to be notified when a new block printing workshop is posted! Come witness the magic of plant dyes at work.l. Indigo is an ancient and 100% natural dye. Participants will dye a 20 x 70 inch shawl with resist techniques known as shibori. Also known as bundle dyeing. Flowers, plants and herbs are steamed to create unique dye patterns. Sign up to be notified when a new natural dye workshop is posted! One of the easiest, most gratifying crafts out there. Join us as we make an assortment of swirled, eye-dazzling paper goods to use as cards, wall art and more. We are researching and developing more fluid arts workshops for fall 2019! Sign up to be notified when a new marbling workshop is posted! Sign up to be notified when a new watercolour workshop is posted! Learn the essentials to making beautiful cookies, including: proper icing consistencies, outlining and flooding, wet-on-wet and marbling techniques, how to pipe text, and more! You’ll go home with 6 decorated Valentine’s-themed cookies, a detailed instructional handout, cookie recipes, and new skills for your next cookie project. Sign up to be notified when a new cookie decorating workshop is posted! Get started with embroidery! With a few basic stitches, you can create endlessly. 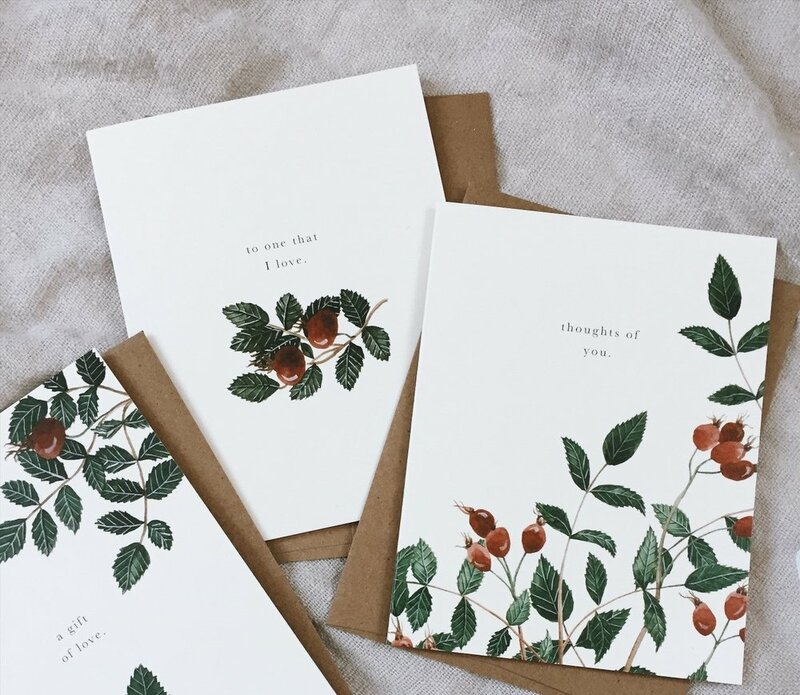 Our instructor Carrie will lead you through the foundations of this craft, and get you started on a sweet floral piece. You will take home your embroidery hoop to finish your piece on. Punch Needle Coming Summer 2019! Sign up to be notified when a new embroidery workshop is posted! Learn the essential knots to make a modern macrame wall hanging or planter! Our expert instructor Delee takes pride in guiding her students to make a perfect piece with their own flourishes. After this workshop you’ll be ready to branch out into all kinds of macrame designs. 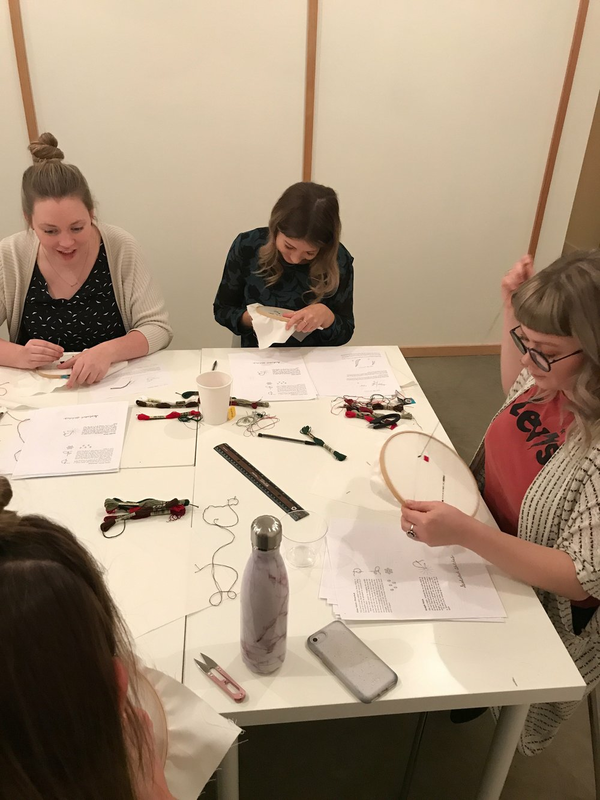 Sign up to be notified when a new macrame workshop is posted! Learn the art of beautiful words and letters. It just takes practice, and we’ll walk you through the exercises to get there. 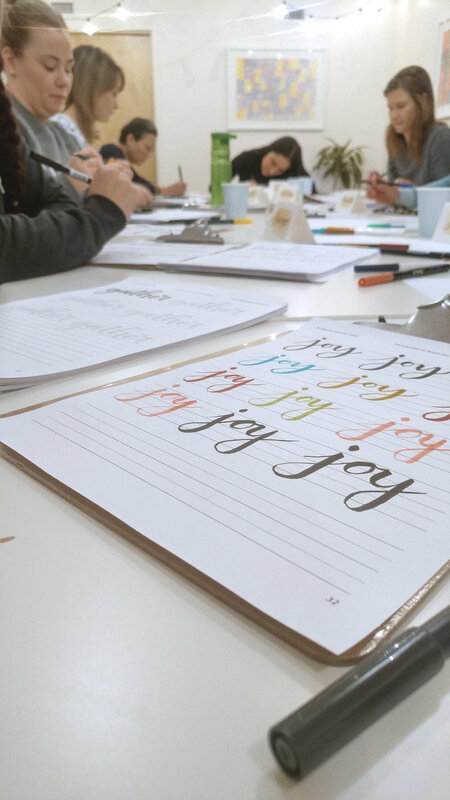 As a final project participants will write a word of their choice on quality card stock with a watercolour wash as background. 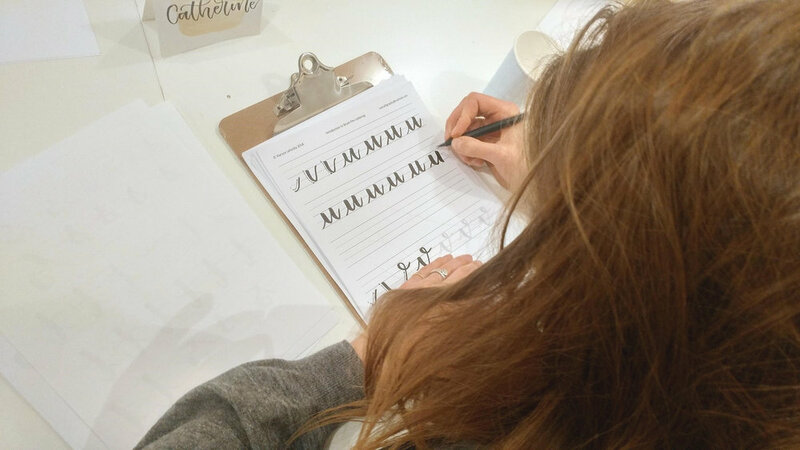 Sign up to be notified when a new lettering workshop is added! In this workshop, you will learn how to handle and work with polymer clay, and how to combine colours to achieve effects such as marbling, gradients, stripes and shapes. You can add gold foil, play with negative space, and mix custom colours. The workshop focus will be polymer clay inset into brass pieces, but participants are free work with just the clay. More jewelry classes coming in 2019!